I think Pepijn’s badgered me about this book since the day we met. That was in a time my ADHD was yet undiagnosed (though joked about) and at some point wasn’t able to do something I enjoyed most when growing up: Reading. I’ve tried to read ‘House of Leaves’, kept trying many many times, because seeing people get enthusiastic about it after reading it (he recommended it to everyone) and him repeatedly asking me if I read it yet was a continuous reminder. But I just couldn’t. It was sad and frustrating, feeling left out and inferior. 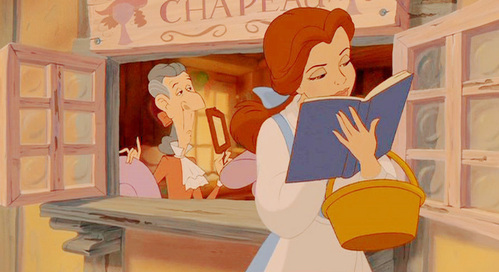 It was weird, because a book-nerd was what I’ve been all my life. One of my first memories is getting a tape(!) of ‘Beauty and the Beast’ from my mother – who now I think of it was actually terminally ill at the time, and Belle has no mother. Hm. – and when growing up at my dad’s later in life I listened to the soundtrack continuously. And reading ALL THE DAMN TIME. Because I DID walk home from school with a nose in my book. And I was either playing outside or on my bed reading. Or reading outside, most likely. Not being able to read was a big part of my depression when I lived in Alkmaar and Haarlem. Somewhere at the end of 2011 my inability to read ended with the prescription of Ritalin and my move to Sweet Lake City. My depression also went away mostly. Finally. So starting this book – what looked so interesting, but intimidating if you’re not able to focus enough to process letters into sentences that actually meant something – was a hurdle. A big one. Because it was connected with failing so much. But I finished the Goodreads challenge succesfully last year, reading 52 books since the end of april. I’d been waiting long enough, and Pepijn’s visit reminded me of it so when I went to the library I picked it up immediately and now I’m finally reading it! I expect lots of notes along the way, but that might be my Belle speaking.